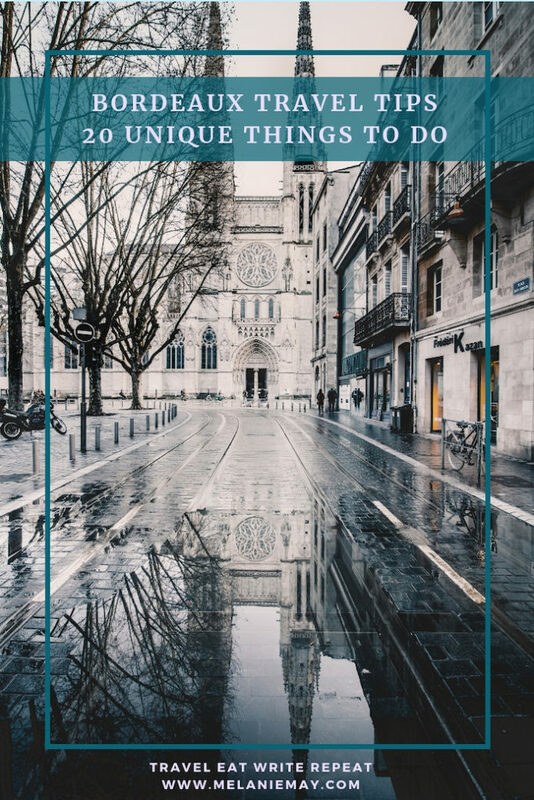 Bordeaux Travel Tips – 20 unique and off the beaten track tips and travel ideas to help you discover what makes the Bordeaux region so brilliant. 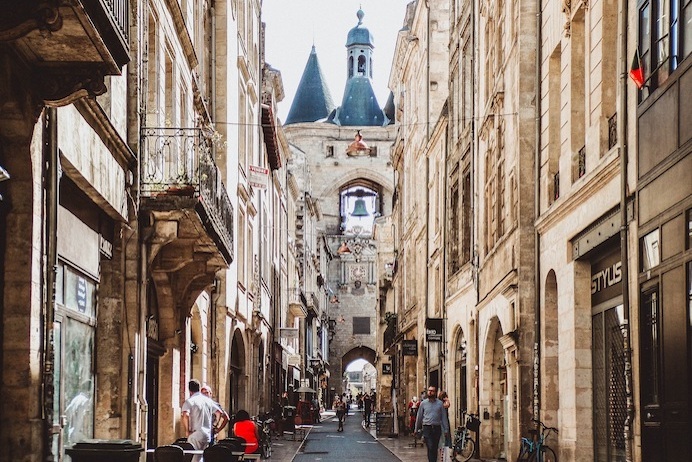 These Bordeaux travel tips will also help you get to know the locals and the places they love to go to. 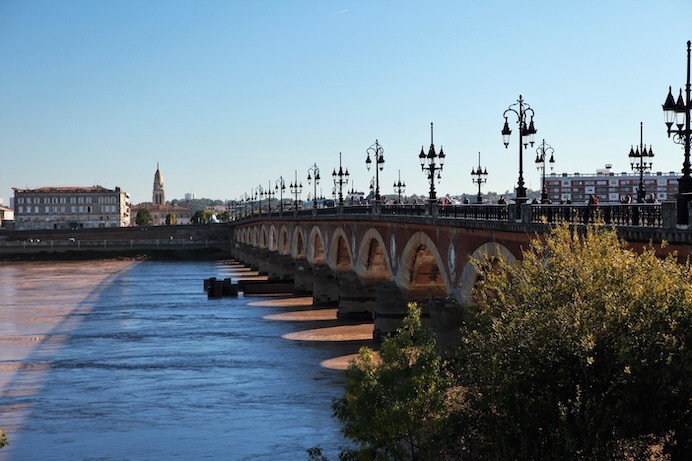 Kick off your shoes and dig your feet into the sand along the banks of the Garonne and chill out with the locals. 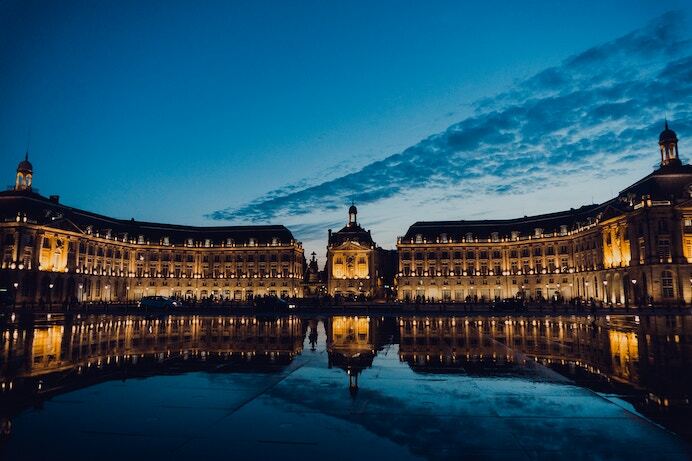 Sunset is a great time to visit here as you can enjoy one of the most beautiful views of the 18th-century façade of Bordeaux. Make sure you ask for one of the beach benches to get an unobstructed view. Thirsty? Bordeaux isn’t all about wine, there is also local brew too, so make sure you order a ‘Darwin Beer’. Not only is this the oldest restaurant in Bordeaux it is also one of the best places to sample French cuisine, regional dishes and local wine. To tip, request one of the cave tables and eat among the stunning rocks. It really does feel like you are in a cave. This art-house cinema resides in a former religious edifice dating from the 6th century, the Church Saint of Simeon. Come early to get good seats and bring cash. The first movie of the day is at a reduced price. Have a drink on the lovely terrace outside. Come early on a weekend to beat the crowds. Walk along Quai Deschamps just after sunset and you’ll get a wonderful view of the Pont de Pierre all lit up and you’ll also see the Place de la Bourse, Place des Quinconces, Porte Cailhau and the beautiful facades of the buildings that surround the Garonne. For a more relaxing view, book a table at the Cafe du Port and ask for a window table. This is one of the most unusual destinations and venues in Bordeaux and it is a hit with local creatives. Here you’ll find a café, markets, concerts, DJ sets, and a gallery space for local artists to showcase their work. Come to this sprawling warehouse on Saturday afternoons and you can take a workshop to learn how to repair your bike or car under the supervision of mechanics. Pain au chocolat does not exist in Bordeaux, so do like the locals do and call them Chocolatines. 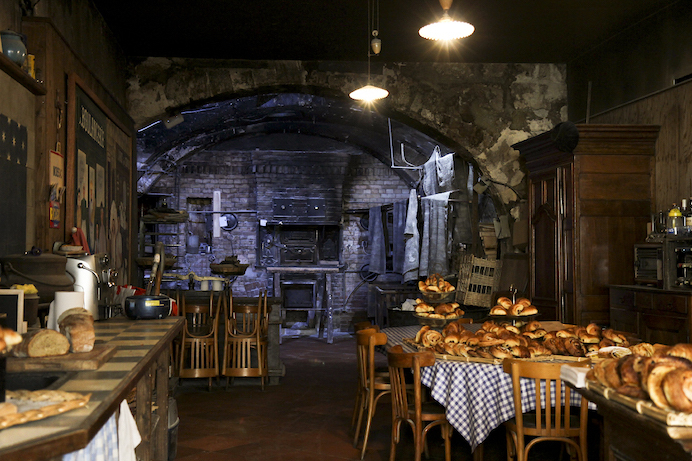 The best place for Chocolatines is in Au Pétrin Moissagais where you’ll find the oldest wood oven in Bordeaux. The oven was built in 1765 during the reign of King Louis XV. Wait until night falls and head to the front of the building and find the miroir d’eau, the world’s largest reflecting pool. At night the building is floodlit and the building façade is reflected in the water. It is the prettiest view of the Palais. To add some drama to your photos what until the mist and fog are ejected. This takes place every 23 minutes and lasts for three minutes. Whilst I did say these were off the beaten track Bordeaux travel tips, this is one of the top tourist attractions in Bordeaux however, most of the crowds are here during the daytime. For organic, bio, locally sourced, season food head to The Magasin Général. It is the largest organic restaurant in France and is housed in a disused military barracks. Best time to come is early on Sunday for its buffet brunch which is a feast. Get her early an nab a seat on one of the vintage sofas. 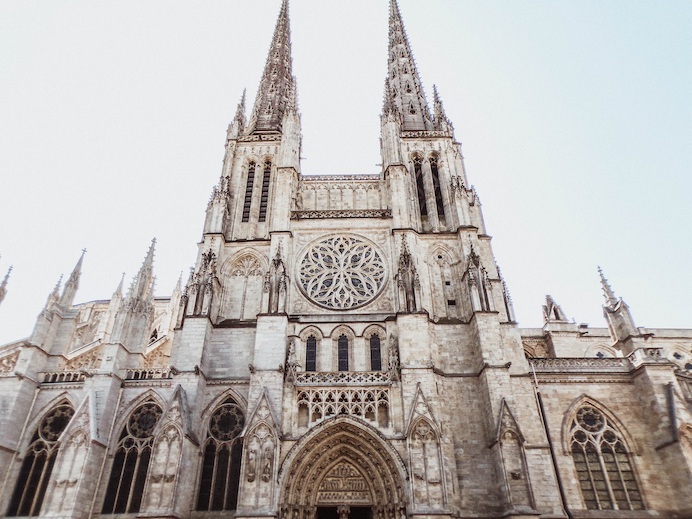 For some of the best views of Bordeaux are from the top of its 114-metre spire – it is the second tallest church building in France – and if you visit on a weekend you’ll be able to shop in the flea market which is held on the square outside. Saturdays are focused on food and Sundays on merchandise. Top tip is to buy loads of fresh produce and wine and walk to the riverfront and have a picnic. 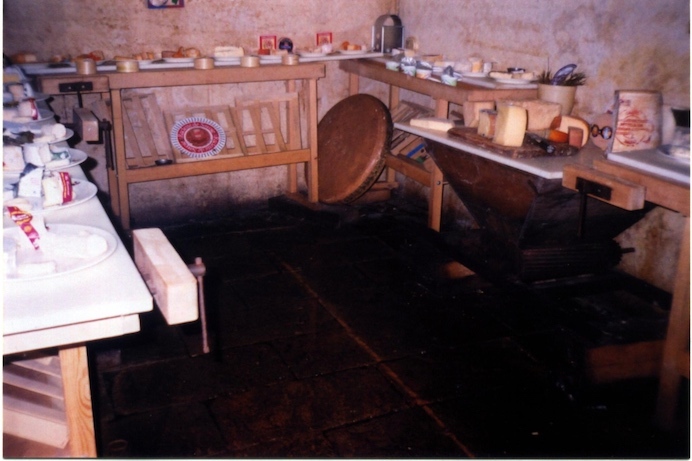 In Bordeaux, there is an underground cave filled with cheese! One of the best ways to make the most of this cave cheese madness is to order a tasting plate and for €15 you’ll get to sample about 10 cheeses. 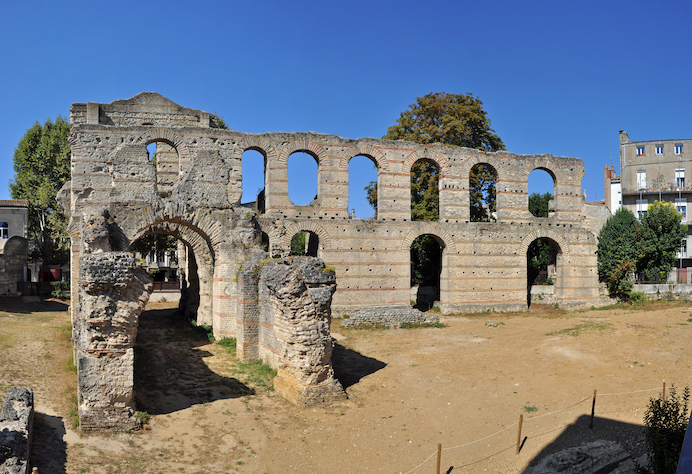 To find a little peace and quiet in the city visit the remains of this Roman amphitheatre dating to the 3rd century. Best thing is it is free and there are very few tourists. 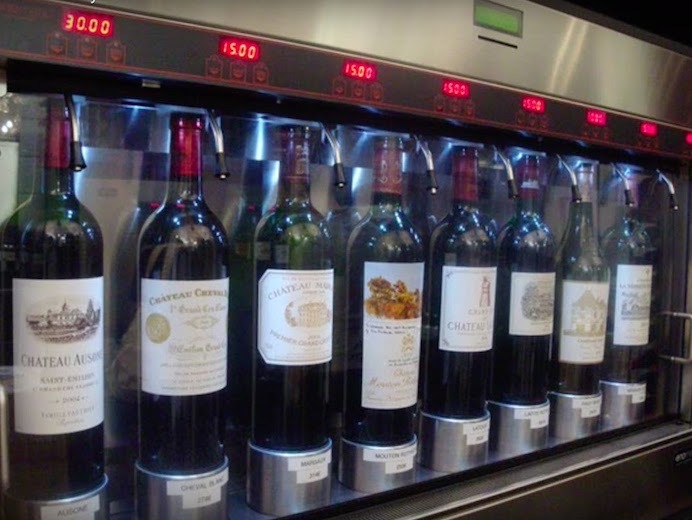 The Wine Gallery serves 48 of Bordeaux’s grand cru wines which are housed in dispensers located around the room. The machines are operated via cards that you buy for €25, €50, €75 or €100. The cards are valid for a year, so you don’t have to spend it all in one visit. Splash out and taste Lafite Rothschild 2004. 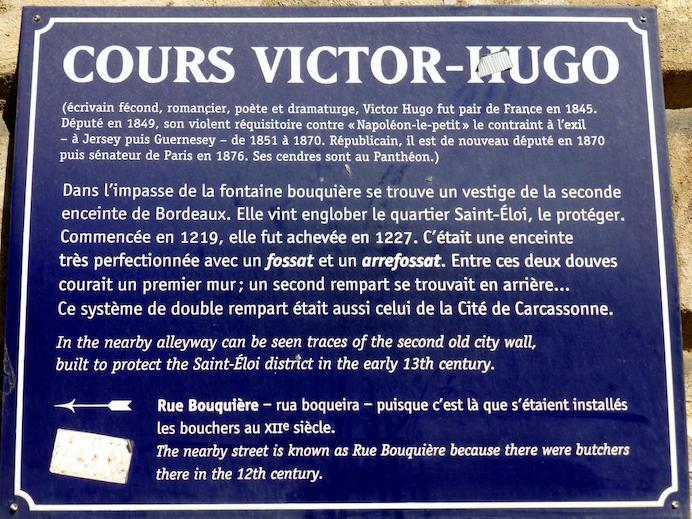 When you are walking down Cours Victor Hugo lookout for a blue plaque on the wall. Beside this plaque is a locked gate. If you look through the bars you’ll glimpse the old second city wall build in the 13th century. This stone wall was built to protect the area from would-be attackers. It’s a piece of history that not many tourists see and one of my favourite Bordeaux travel tips as it is free to do and so interesting. 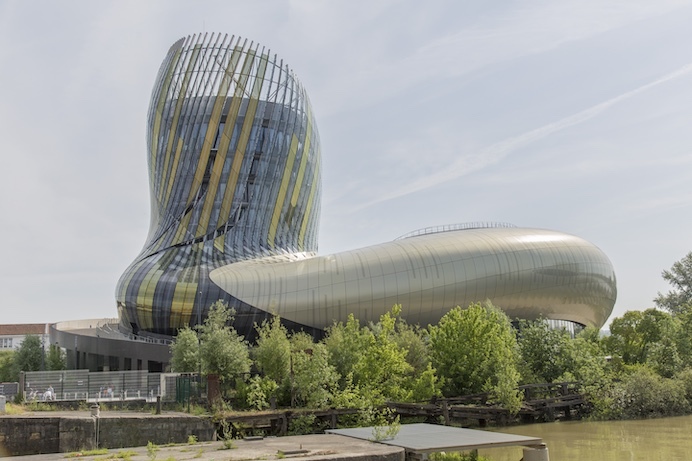 If you want to know more about wine, head to La Cite Du Vin museum. The entry fee includes a glass of wine and you’ll get fabulous views of Bordeaux if you head up to the eighth-floor wine bar. Head up here and catch the panoramic sunset. There are four replicas of the Statue of Liberty in France and one of them is in Bordeaux. Be sure to find the plaque to the plinth dedicating the statue to the memory of those who died on 9/11. Try the Oysters at Chez Jean Mi at Marché des Capucins Market. 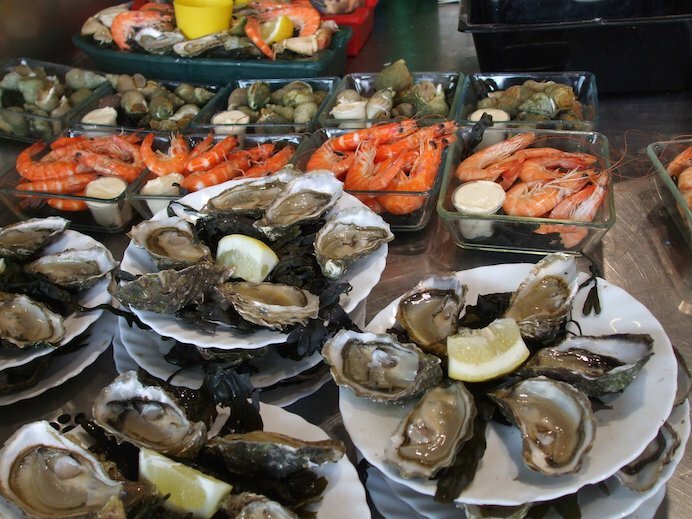 For just €7 you’ll get 6 raw oysters, bread and a glass of wine. You’ll also get to rub shoulders with the locals as this is where they also come for the best oysters in Bordeaux. OK, I know a lot of these Bordeaux travel tips revolve around wine, but it would be a shame to come to this part of France and not do some activities that involve fermented grape juice. The Bordeaux Wine School has a downstairs bar which glasses of wine starting from €2. It is a super popular place with locals and if you want to get a real vibe for wine culture, come between the hours of 5-7pm when it is lively with locals. These Bordeaux travel tips are going to get the locals annoyed as I am giving away all their secret spots. One of the only few places that offer a happy hour in Bordeaux. From Monday-Friday, 5:30 – 8:00 and all day Tuesday, a pint of beer costs €4.50. 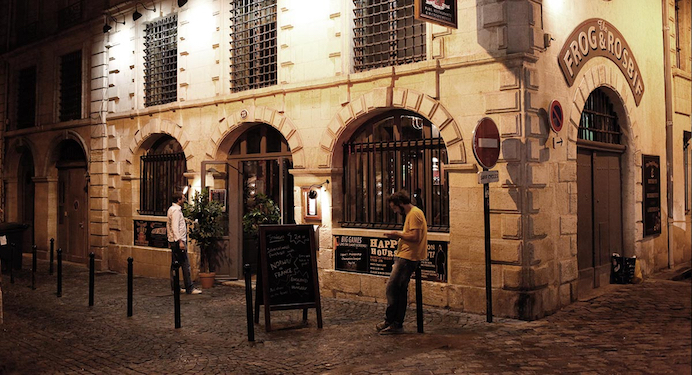 It’s actually housed in a former women’s prison built in the 16th century and it was the first pub in Bordeaux to have its own micro-brewery. Go visit on a Monday for the really fun pub quiz. 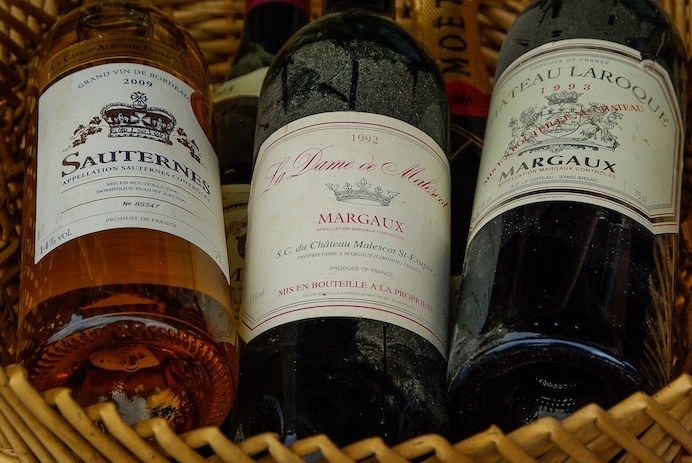 The “Wine School” offers many 1-day, 1-afternoon or 2-hour Bordeaux wine workshops both in French and in English but they are popular so you need to book several days in advance reservation. 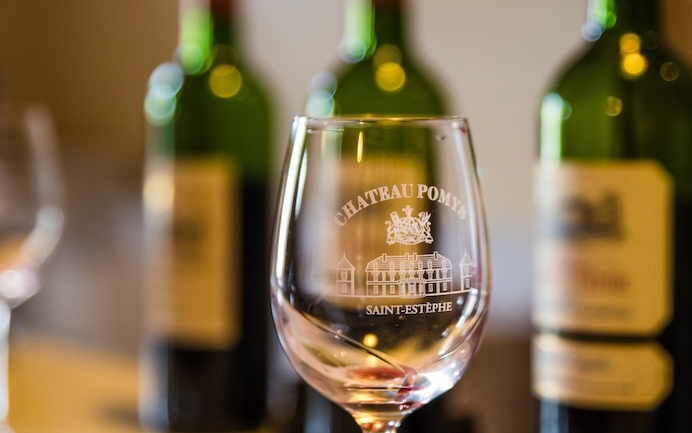 The best class for tourists is the 2-hour ‘Introduction to Bordeaux’ class which explains the techniques of Bordeaux wine making followed by a tasting of up to 4 wines. If you are short on time and money but still want to learn about wines and taste a few, head to Planète Bordeaux. 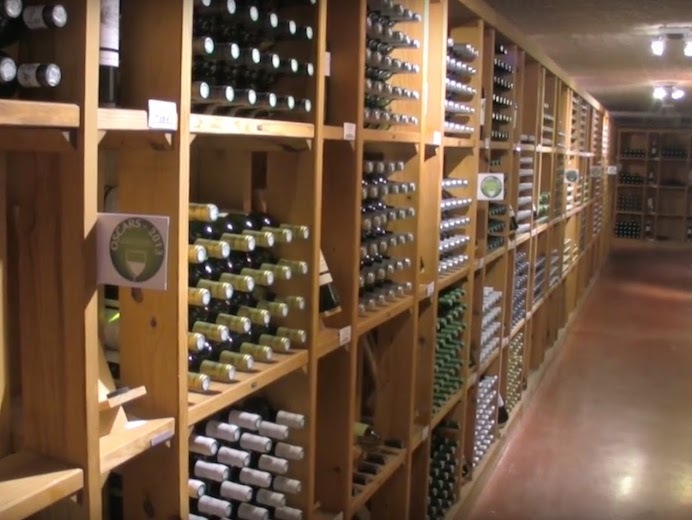 You do not need a reservation so it’s great for those who like spur of the moment planning, but make sure you arrive about 1.5 hours before it closes as you want enough time to taste the wines. Have you been to Bordeaux? What did you think of it? Are there any brilliant Bordeaux travel tips that I should add to my list? Let me know in the comments below. If you liked this Bordeaux travel tips blog post, you might also like my review of the Cathay Pacific Premium Economy cabin. I also have a post on Malaga Travel Tips – 16 Unusual Things To Do. And check out my Spanish food and wine pairing blog with tips from the wine experts. If you liked this Bordeaux travel tips blog post, please share with others.